Two-time world cross country champion Geoffrey Kamworor has revealed he is not going to quit track anytime soon despite his success on the roads. 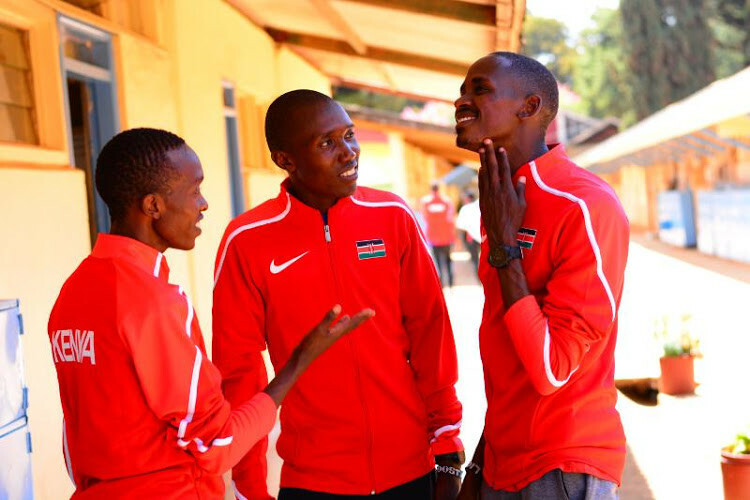 Speaking at the Kigari Teachers Training College, where Team Kenya to the World Cross Country Championships in Aarhus, Denmark is in residential training, Kamworor said he is still keen to be part of Team Kenya to August’s World Championships in Doha, Qatar. However, the three-time World Half Marathon Champion could not reveal his distance of choice, between 5,000m and 10,000m, ahead of the global championships. “I have not decided which race to run, but yes, it’s a priority once we are done with the World Cross Country,” said the 2:06 marathon man. He remains determined to score a hat-trick of titles in Aarhus with his fifth-place finish at the national trials not a concern for him. He won the World Cross title in Guiyang, China in 2015, defended it in Kampala two years ago and he still keeps his push of emulating cross greats like Paul Tergat and John Ngugi, who won it five times each. “I’m not worried about what happened at the national trials. Of importance is that I was selected in the team and I am confident I will retain my title,” he added. Kamworor, who is captaining the side, expressed optimism that the team selected was the best he has been part of. “This is my fourth time at the world cross and if you look around, we have a good team, the best we have had so far. Remember, I have been with the team since my junior days,” he said. Kamworor said he is relishing the challenge of facing perennial rivals Ethiopia, Uganda and US runners at the event. “This year will be tough. We have competition from our Kenyan brothers competing for America while Ethiopia and Uganda have come up very well lately,” he remarked. Melissa Ossanna, of Bar Harbor, Maine, has big plans for 2019. 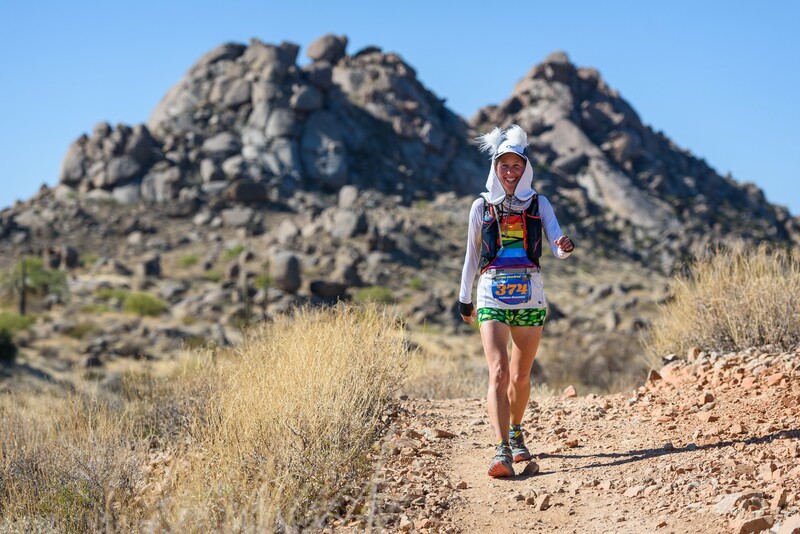 Not only will she be turning 50, she has registered for the “Grand Slam of Ultrarunning” (fondly called ‘The Slam’ by those who participate). This involves running four of the fiveoldest 100-mile footraces in the US, scheduled from June through September. This is a laudable and often daunting goal for every runner who attempts it, but Ossanna has another challenge, she has Multiple Sclerosis. She was diagnosed with the condition in her mid-20’s and struggled quite a bit with temporary blindness, weakness and numbness in her limbs, and severe fatigue, among other issues. In 2009, she was unable to stay awake all day at work and was forced to go on intermittent disability. She thought this might be the beginning of the end of her ability to earn a living, and most importantly, to be able to stay active with her husband and young son. Ultimately, she learned that the fatigue was a result of MS-related sleep apnea, which is treatable. As she started to sleep better, she got some energy back, and was able to return to work full time. She also decided to take the advice of her neurologist and use this bit of extra vigor to start exercising. For years, she had been too tired to even consider adding an exercise program to her schedule. Where many people would start with a couch to 5K program, an introduction to fitness at the YMCA or something else reasonable, Ossanna happened into town the day before the Mount Desert Island marathon in 2011, had a moment of regret that she wasn’t a marathon runner, and then decided she would become one. She registered for the MDI marathon 2012 before she even owned running shoes. The year of training was a long one, starting with not even beingable to run 0.8 miles (the length of the road she lived on). However, once marathon day arrived in October 2012, Ossanna was ready and had learned to love running. That one marathon led to another, which then led to a 50K, then a trail 50K, then a 50-mile trail race, and then a 100-mile race. Ever since she started running, Ossanna has not had any notable MS exacerbations. She attributes her continued health to her running habit, and she never plans to slow down if she can help it. With her decision to run the Grand Slam this year, Ossanna decided she wanted to raise money for a charity that meant something to her. She had raised money for the National MS Society in the past, and had considered doing that again, until she ran the Vermont 100 in 2018 and became familiar with Vermont Adaptive. Vermont Adaptive helps people with disabilities get outside and do active things. 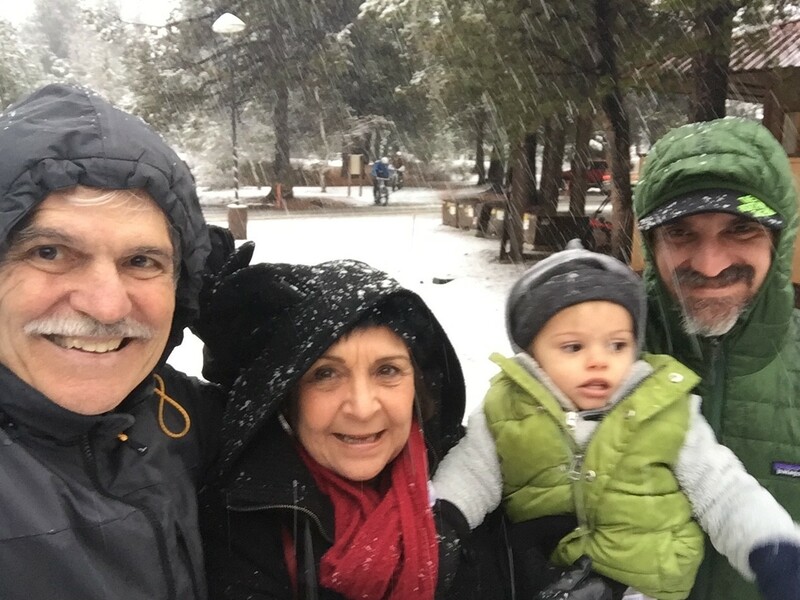 Becoming active in the outdoors gave Ossanna her life back, and has prevented any permanent disability for her, and she wants to help others to “get outside and play”, regardless of any challenges they face. If you want to support Melissa and Vermont Adaptive click on the link. Here are my thoughts on these three new questions. 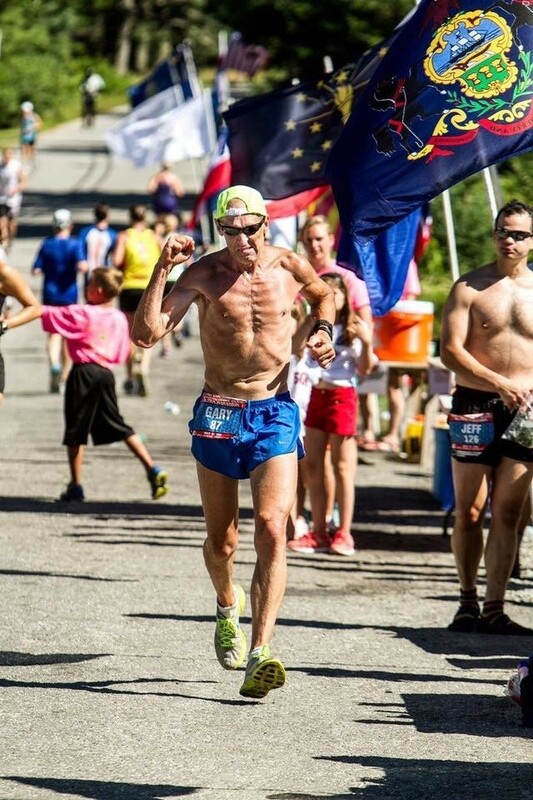 Send your questions to bob@mybestruns.com Subject line Question for Marathon Man. 1. What should you drink or eat during a marathon? Nutrition during a marathon is critical to your success. Back in the 1970s when I started running marathons sports nutrition companies didn't exist. Besides water on the course we experimented with little things to help keep our energy going. My favorite was butterscotch hard candy. I pinned a few of these, still in their crinkled yellow wrappers, to the the waist band of my shorts, and would simply pop one in my cheek during the race. As it slowly dissolved, it would help give me steady energy. Coke was also a go to product if we could get it on the course. Few races offered it officially but knowledgeable fans at old school events like Boston or Yonkers would sometimes hand out little mouth wash cups of Coca Cola, and it was pure gold. I still think Coke works better than sports drinks. It offers caffeine, liquid and sugar and it helps keep your stomach happily settled. Today there are of course dozens of products and drinks and my best advice is to try a few in training and use the ones that work for you. 2. How should you pace a marathon? The most common mistake is starting too fast. Men especially are far more impatient than women in the critical first 10k of marathons. If you are pacing well, the last 10k should be equal or faster than the first 10k. This means NOT starting like you were shot out of a cannon. If your goal and training suggests a sub 3 hour marathon, you will need to average 6:52 pace but it would be a mistake to run that pace from the start. Instead you should run 7:00 to 7:05 pace and the 6:40s you will be running in the late miles because you were conservative early will feel great! 3. If you just aren't into the marathon during the first three miles, what should you do? Breathe and move. Often a byproduct of the taper period is feeing lethargic in the early miles as you body remembers what to do. Many times tough early miles are an indicator that you'll have a great day. How many times have we all heard the winners say, "I felt terrible early" and then they go on to win! Remember you are only human and it doesn't matter that you followed a perfect training plan down to the letter. The marathon is still more like the common persons Mt. Everest versus something as predictable as telemarketers calling at dinner time. Remember marathon running is more like an expedition than a drive thru and not everyone summits. I am going to cover a lot of ground in my column here. Here are my thoughts on three questions I have been asked many times. 1. 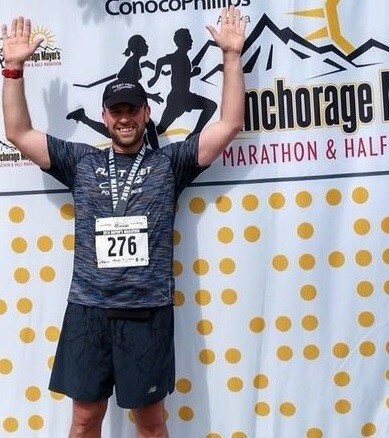 What is the best thing to do if you hit the wall at 20-miles in a marathon? Firstly, you shouldn’t hit the wall in a marathon, if you do you are probably undertrained or you likely ran far beyond your abilities, especially in the early miles. Rather than tell people what to do when they hit the wall I’d like to share how not to. In most cases you need to train for years to harden you mind and body to the rigors of what you are undertaking. There are no short cuts to avoid hitting the wall besides training hard and racing smart. 2. What should you really eat and drink during the two days before running a marathon? Eat and drink whatever you typically eat or drink . Sadly in this internet age there is so much information flying around it actually turns marathon running into the proverbial alligator under your bed it’s not. Remember a marathon is a man made distance and if you turn it into something more than the long road race it is, you unintentionally give the race mental power you’ll need to run. The moment you start feeling bad, because of all this information that is pinging off your brain about what you should have eaten or drank, it is like being handed an anchor. 3. How long should you longest run be training for a marathon, when should it be done and at what speed? You should be able to cover 28 -30 miles fairly comfortably. These long runs shouldn’t be timed but run at a very comfortable pace whatever that is. Long runs (aka time on your feet) are to help you build endurance and efficiency and not speed. As far as frequency, I particularly hate weekly training schedules. Your body doesn’t know Sunday from Wednesday, instead I tell people I have coached to break down running into basic ingredients such as long runs, hills, speed etc and make sure you add all of these basic ingredients about every 10-12 days. Running is not rocket science no matter how many people try to convince you otherwise. My advice is to go have fun and because you are having so much fun you’ll get much better at playing! I get lots of questions about winter running. Many wonder about traction on ice and snow or even how to dress in cold temperatures. 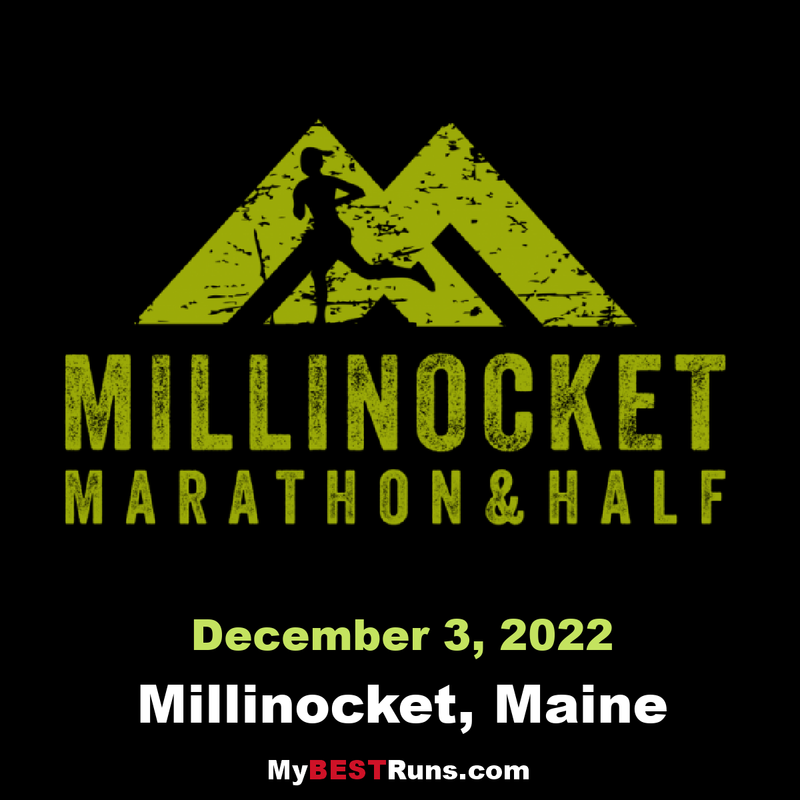 At our just run Millinocket Marathon & Half held in Northern Maine the air temperature was between 4F and 6F at the start depending if you were standing in the sun or not. 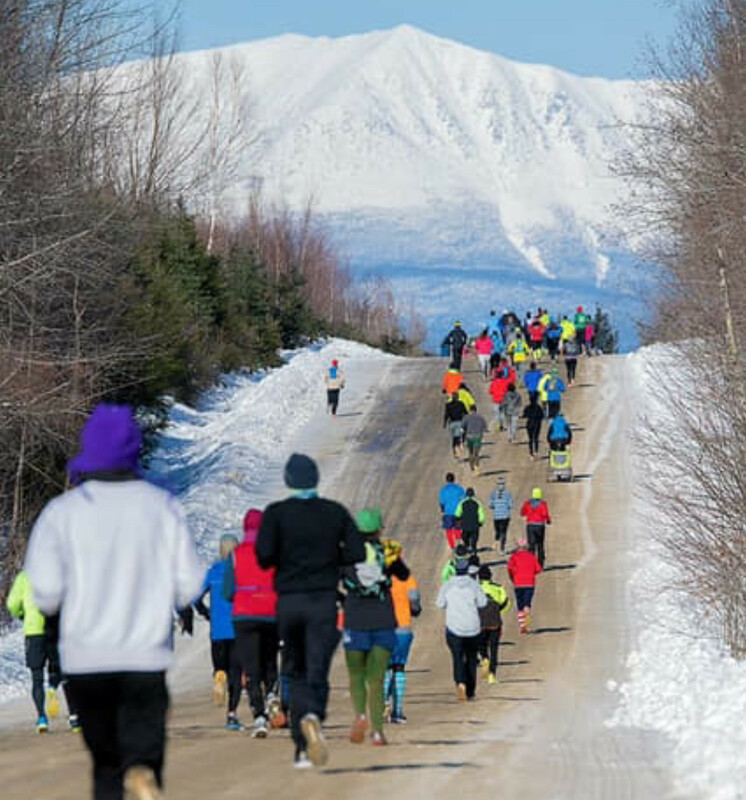 It was pretty icy on the Golden Road as runners headed north towards Mt Katahdin. (pic). The fact is that running on ice is not that difficult in standard running shoes. When we run, vs when walking, our individual foot strikes are in contact with the ground for much less time, meaning we are almost already falling forward, coupled with the fact that when running we exert about 1.5 times of our body weight in down force per stride, which makes us into traction machines. The tricky part of running on ice and snow is turning or stopping. This is when we fall. As far as what to wear? In temps below 10F it’s always about layers. For example a tech tank top, a tech short sleeve, a tech long sleeve, plus a wind jacket on top. Tights plus wind pants on the legs, two hats and face protection, if windy, and gloves with mittens over and you’re good to go! As I like to tell runners, don’t use winter as an excuse instead make it a reason to go outside and run! In his first column I sent him some questions so we all could get a flavor of what makes this incredibly creative and talented man tick. I know I am looking forward to his writings here and I hope you are too! So Gary, how did you discover running? How important is running to you? “I have been involved with running for my entire life so assigning importance to who and what I am is like trying to describe how big the universe is to an ant. 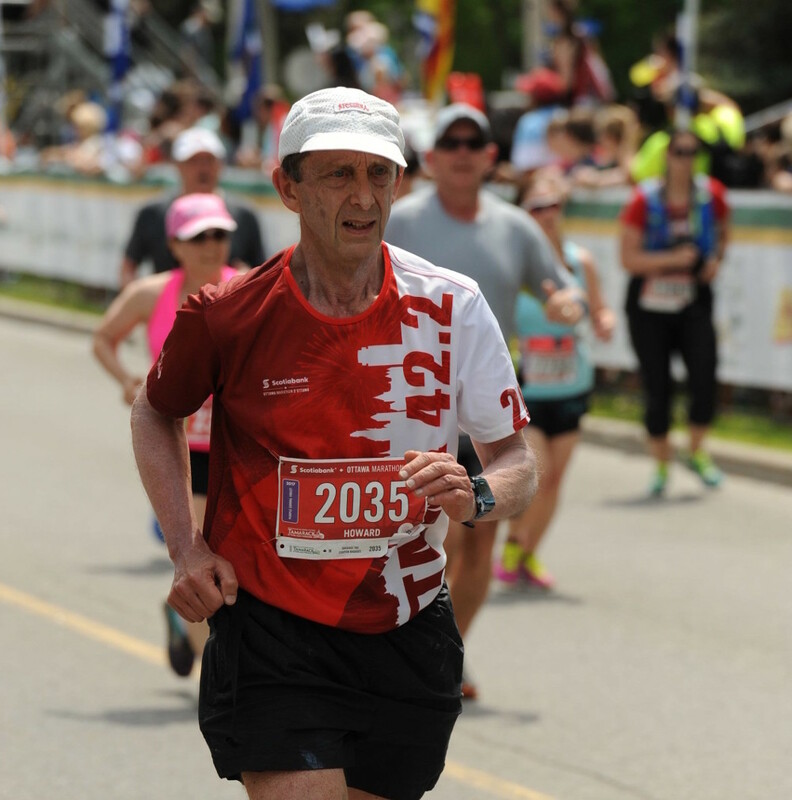 It is impossible for me to adequately portray how all encompassing running is to me as a part of my life,” says Gary. Does being an accomplished runner help you put on first class events? What one race you have run stands out as number one? “Ahhhhh I can’t narrow it down to one race. However, Boston is always high on every list. I have one more to run to make a quarter century of unicorn chasing. 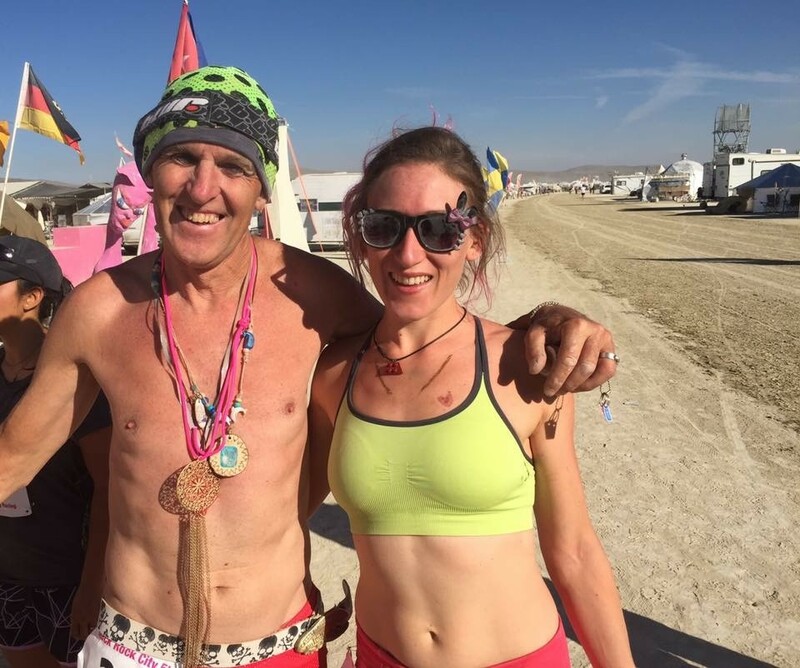 The Burning Man ultra (photo) is a race I love beyond words. It helped change my thinking about how races run. “A combination of an other worldly environment and no entry fee helped to expand my thinking. NYC (19 finishes) is where I was inspired to become a race director after watching Fred Lebow in action in 1980. It is reality true, if you can make it there you can make it anywhere! Tell us about your coaching? “I have coached at the HS level and coached many individuals over the years but my current team is at Mount Desert Elementary School where I have been the XC coach for the past 12 years. 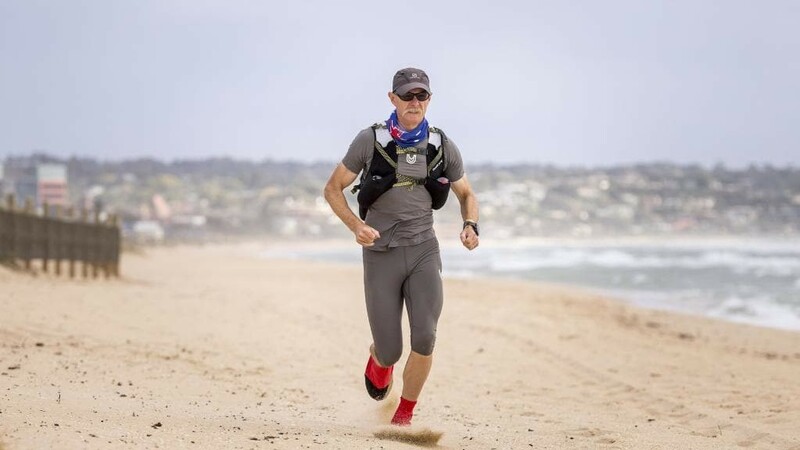 “My philosophy is pretty simple, make running fun and kids will want to run more and the more they run the better they get at running which is of course even more fun for them! “One of of our key workouts is called, zombie tag. We run in the surrounding Maine woods and trails and I assign a few zombies and the rest of the team tries to run away and not get caught. 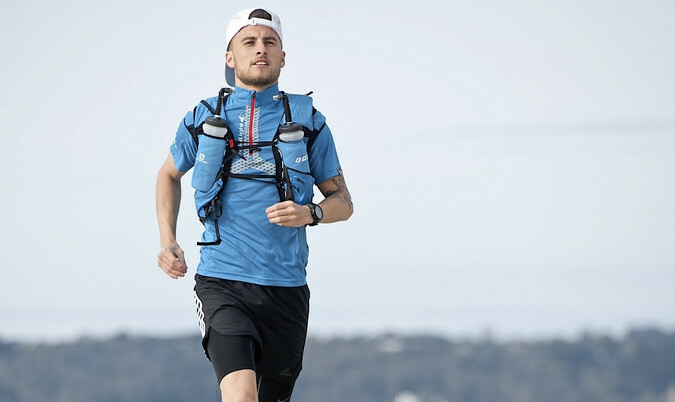 What are your personal goals as a runner? 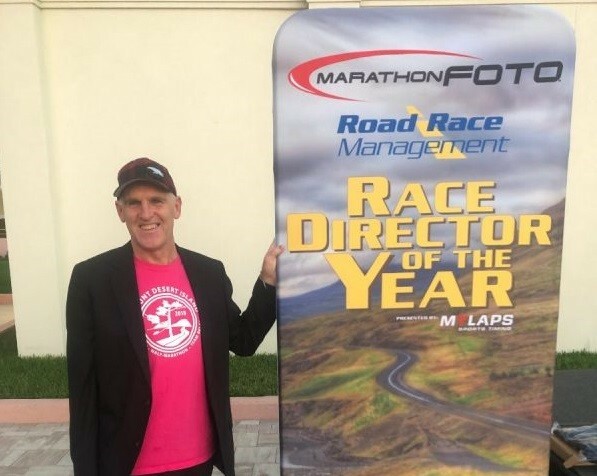 “As a race director: I want to leave our sport better than I found it. ”As a coach: I want to inspire the next generations of runners to think about running for their entire lives. Rather they run or not matters little, but I want them to always remember and to love running knowing some will go on and be involved in our sport as competitors, coaches or even as race directors. ”As a competitor: I have accomplished pretty much every goal I’ve set for myself. Of late I struggle some with the naturally selfish nature of being a long distance runner. “The single dimensional, ‘I’m training for,’ ‘Look at me’ has become less and less appealing to me over the years. “As you know one of my proudest achievements is joining the five decades Sub 3 hour marathon club. At this point nobody on earth has run a sub 3 hr marathon in six consecutive decades so maybe it’ll give it a shot in 2020! 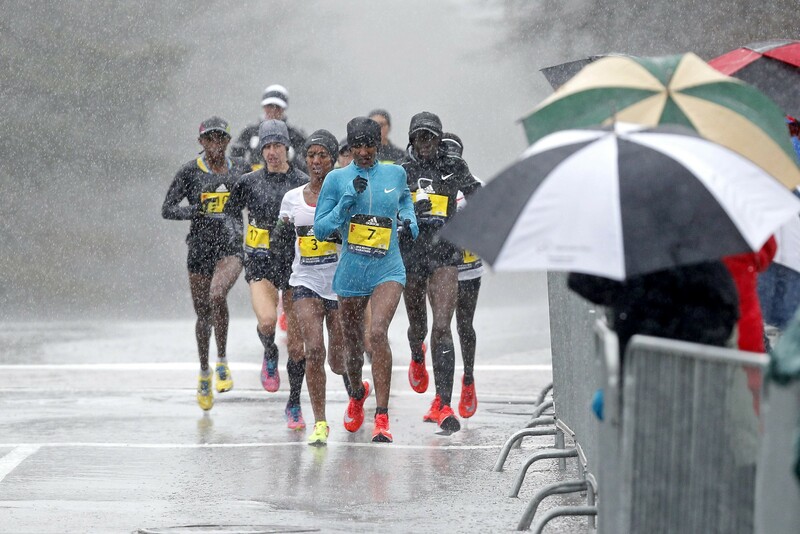 “Incidentally Joan Benoit Samuelson is the only other Mainer on the list and the only woman who has done this and I wouldn’t count out Joanie to run a sub 3 for her 6th decade. Can you give us some background info? 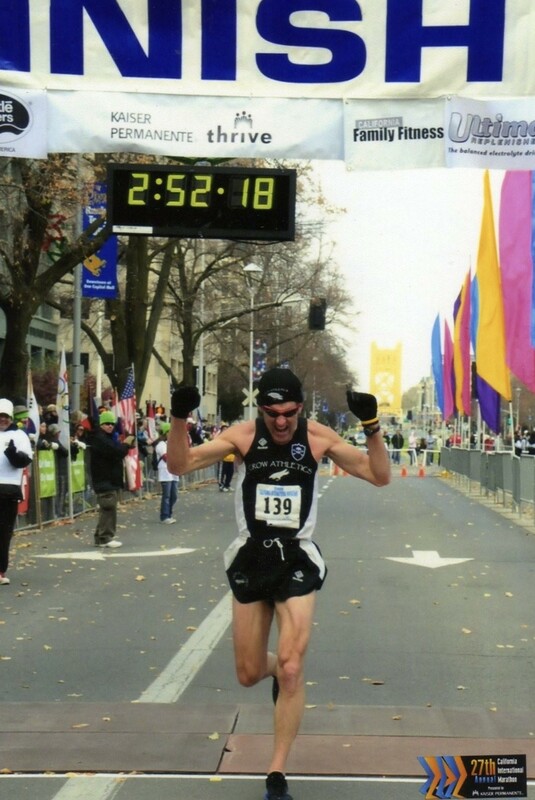 ”Some Personal Records: Marathon 2:39:10, Half Marathon 1:13:20, 50 miles 6:21.